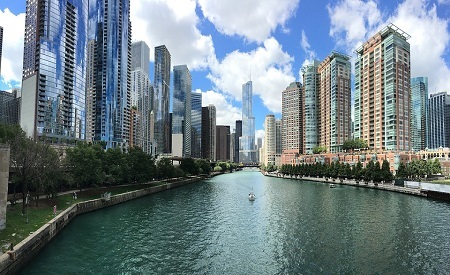 The Society of Addiction Psychology (SoAP) welcomes you to the 2019 APA Convention in Chicago, August 8-11, 2019. There is unprecedented public interest in harmful alcohol and drug use and addictive disorders in the US right now. Media attention focuses on the opioid epidemic, cannabis legalization, and the growing awareness of the racial disparities brought about by the ‘war on drugs’. Addiction psychologists have made considerable strides towards improving the lives of those who seek abstinence through formal treatment. However, the vast majority of individuals who use alcohol and drugs in harmful ways never seek such treatment. Innovative strategies to reduce substance-related harm are needed to help those who are unable or unwilling to seek out or stay in traditional, abstinence-based treatment. In light of this pressing need, the theme for the 2019 APA annual meeting is "Outside the Box: Harm Reduction and Other Innovative Approaches to Studying and Treating Substance Use Behaviors" and the 2019 SoAP program will feature scientifically-grounded strategies that reduce individual, familial, community, and societal harm. There is unprecedented public interest in harmful alcohol and drug use and addictive disorders in the US right now. Media attention focuses on the opioid epidemic, cannabis legalization, and the growing awareness of the racial disparities brought about by the ‘war on drugs’. Addiction psychologists have made considerable strides towards improving the lives of those who seek abstinence through formal treatment. However, the vast majority of individuals who use alcohol and drugs in harmful ways never seek such treatment. Innovative strategies to reduce substance-related harm are needed to help those who are unable or unwilling to seek out or stay in traditional, abstinence-based treatment. Special consideration will be given to symposium proposals that include presenters from related fields that also influence addiction science and practice (e.g., social work, sociology, criminal justice, allied health). Submissions should be relevant to the division’s research and clinical members, demonstrate a commitment to diversity, and be positioned to disseminate cutting edge information to psychologists from other APA division. Proposals for symposia, poster presentations, discussion sessions, conversation hours, and skill-building sessions will be considered. Individual paper presentations will not be considered. All symposium submitters are strongly encouraged to apply for Continuing Education review when submitting. The division offers numerous merit-based travel awards for students and early career psychologists.